From demo reel creation to festival shorts, students and professionals alike are creating animated shorts that are dynamic and eye catching but the time constraints of these shorts are challenging in their own right. The unique format of the animated short of two to five minutes in length presents a practical and aesthetic challenge that is rarely addressed in the classroom. 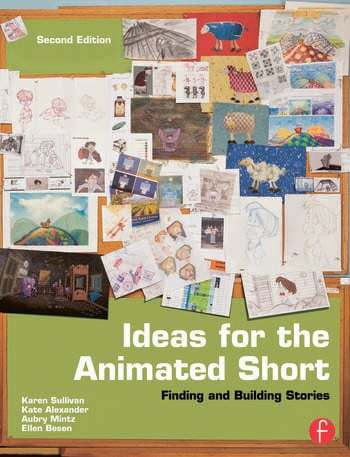 Ideas for the Animated Short is a comprehensive and practical blueprint for creative and unique animated short creation with a focus on the strength of a compelling story. A comprehensive guide to the animated short, this title is an invaluable asset for aspiring animation professionals, students and independent filmmakers. Explore the process of developing a short from conception to final delivery and adapt the industry's best practices in your own workflow. Written by four leading animators, artists and professors, Ideas for the Animated Short is written from the unique perspective of a professional animator adapting creative stories into incredible animated shorts. Follow from start to finish the creation of an animated short from the pre-production thought process to story development and character design. Explore the best practices and avoid the common pitfalls of creating two to five minute shorts. Watch a specially created animated short, demonstrating the core techniques and principles at the companion website! Packed with illustrated examples of idea generation, character and story development, acting, dialogue and storyboarding practice this is your conceptual toolkit proven to meet the challenges of this unique art form. The companion website includes in-depth interviews with industry insiders, short animations (many with accompanying animatics, character designs and environment designs) and an acting workshop to get your animated short off to a flying start! With all NEW content on script writing, acting, sound design and visual storytelling that further enhance your animated shorts and apply the industry best practices to your own projects.